JCH Bulgaria Amore Veritas Think Me Twice "Hit"
Hit is a wonderful up and coming SOON TO BE Oregon Mist Goldens boy with a fantastic and sweet temperament. He will be our newest imported English Cream Junior Champion of Russia and also comes from an impressive lineage of Champions. Along with his wonderful personality is his stunning beauty, white coat and blocky build. Click here to view Hit's pedigree. Navilis Deal Me In "Euchre"
Euchre is a wonderful Oregon Mist Goldens boy with a temperament that is gentle, friendly and loyal and SUPER calm. He comes from imported English Cream Champion bloodlines as well and comes from an impressive lineage of Champions. Along with his wonderful personality is his stunning beauty, white coat and blocky build. Click here to view Euchre's pedigree. 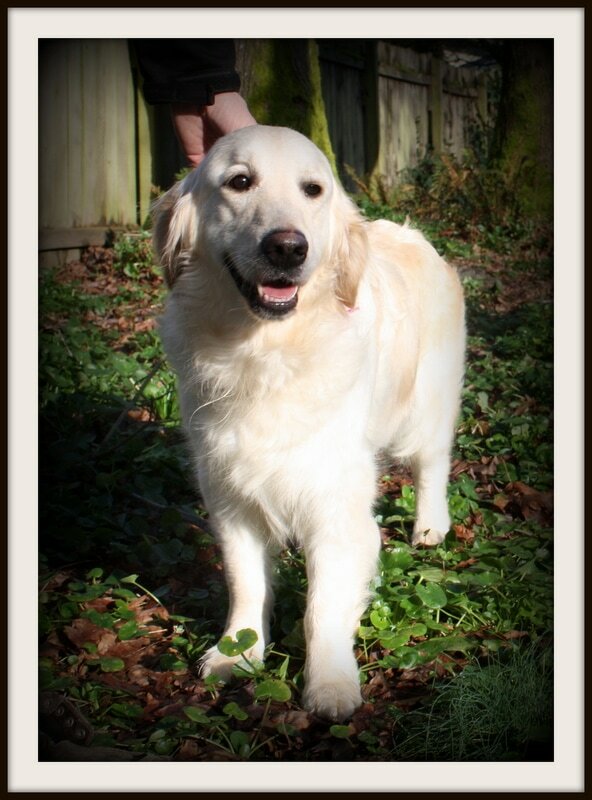 JChUa, Champion of Moldova Kameliya Greatful CQ'2015﻿﻿​ ~ "Annie"
Sara, our stunning Oregon Mist Goldens girl, comes to us from world a renowned kennel in the Ukraine! This beautiful girl is an English Cream Junior Champion and comes from an impressive lineage of Champions. Her personality is all sweetness and she absolutely loves everyone she meets! With her fantastic temperament comes her champion looks and beauty. This girl has a wonderful light creamy coat and beautiful blocky build. Click here to see her pedigree! This gorgeous girl is a beauty and absolute keeper and resides in Whitefish Montana with our wonderful Breeding Program Manager, Lini Reading! Along with her beautiful white coat and exceptional build, Miss Elsa has a happy and absolutely sweet temperament. Montana Mist Elsa has a fantastic pedigree with her dam: Jun.Ch.Rus,Ch.Rus,RKF Tango Iz Sokolinogo Gnezda "Hanna" and sire: Navilis Deal Me In "Euchre".